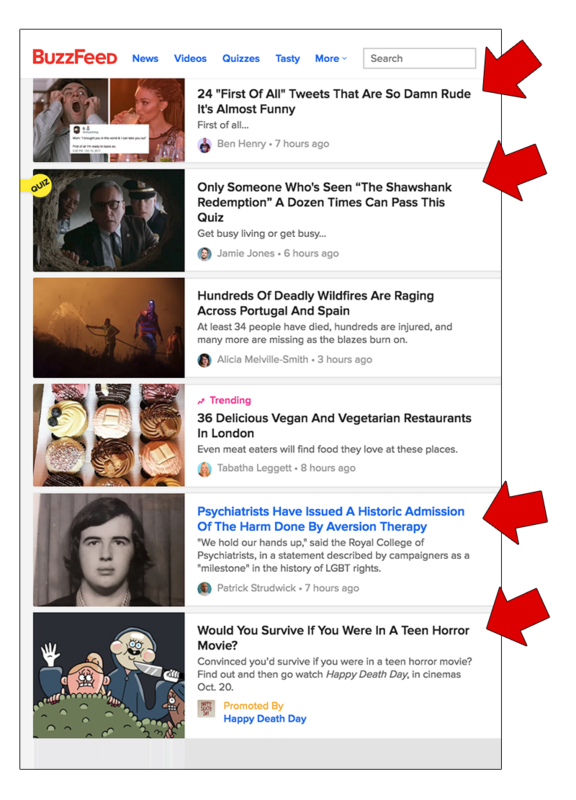 Why Isn’t Your Content Getting Shared? Getting eyeballs onto your page is just one obstacle you have to hurdle in a race for conversions, sales and growth. Once you’ve run yourself into the ground overcoming that issue, getting shares and reaching an insane amount of people is next on the list. We’ve got your back with 5 reasons your content isn’t getting shared. Securing shares on social media leads to more exposure and more followers. The more followers you have, the higher you rank on Google. This means more traffic, which boosts the likelihood of even more shares. It’s a perpetual cycle of content marketing success. It’s easy to get a bit defensive when things don’t go our way where content marketing is concerned. But not quite. People will share your content if you do the right things and stop doing the wrong things. The reason your pages aren’t being shared isn’t anything personal or biblical – it’s all to do with how well you’ve optimized your site. Optimise your site properly, and the shares will come. Let’s get right into things with the reasons why no one is sharing your content. Traffic can hinge on your headline. In fact, it can vary wildly by a massive 500%. Master advertiser David Ogilvy knew a thing or two about writing content, and he knew the importance of a strong headline. To further strengthen what he’s saying, take a look at this study which shows that people often share an article without even reading it. Why? Because a headline can be so powerful that it alone can convince people to share an article. In other words, if your headline isn’t compelling, you’re losing out on a chunk of potential shares. In fact, here is a perfect example of how this works: a website posted an article that was intended as an April’s Fool. Had people read the actual article, they would have realized that it was just a prank. However, read it they did not. They simply paid attention to the headline that triggered such extreme emotions. As a result, they felt compelled to share it all over social media, taking it to be true. While I’m not suggesting you purposely deceive people with your headlines, it’s essential that you find a way of grabbing their attention. This type of headline addresses the reader which, according to a study carried out by Moz, is a type of headline that resonates with 21% of people. Moreover, it solves a problem – that of writing a business plan – and it shows the reader that it will solve it so freaking simply. And we all want the easy life, right? Even better, the headline touches on another issue the reader might have – that of beating their rivals. And it does all this in just a few words that are packed into one powerfully emotive and engaging sentence. What you also need to remember about your headline is that, going back to David Ogilvy, only two out of ten people will go onto reading your body copy. The rest will just read the headline. Is that bad? Not when you consider our above stat that lots of people will at least share the article based on the headline alone. So, key takeaway: make sure that your headline game is strong so that, even if folk doesn’t read your fancy article that’s peppered with your best jokes ever, they at least share it. Ever posted content to social media without an image? Big mistake. According to research by Buzzsumo, Facebook posts that come with an image get 2.3x more engagement than ones without it. The question is, though, how many images should you use? What’s the goldilocks zone for the right word to image ratio? 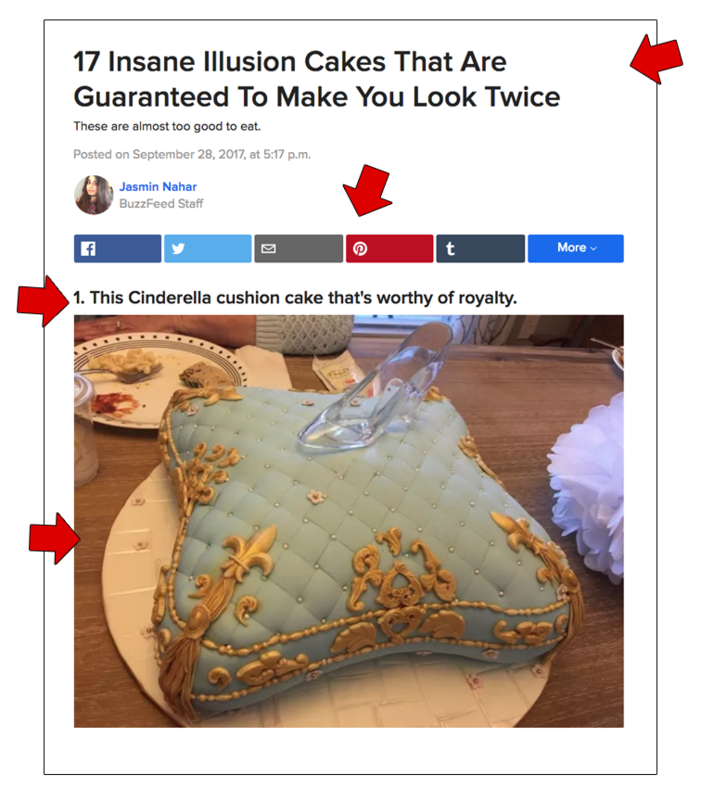 According to the same research, articles that break up the text with an image every 100 words or so get 2x the amount of shares as articles with images that break up the text every 200+ words. That said, you don’t need to take this data so literally and stuff your content with an image every 100 words. If you’re posting long-form content, your focus needs to be on short, snappy sentences and paragraphs and a few images. However, my best tip is that you check your word count for each post and then count your images. 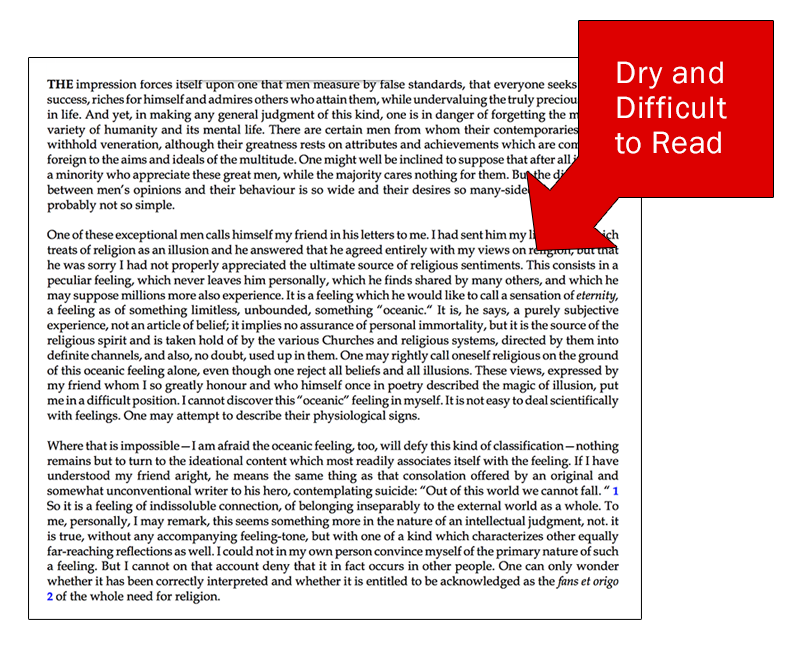 If you’ve got a 2,000-word blog post and just one image? It needs more. Sometimes, a visitor just needs a nudge from you to share their content. There is nothing wrong with being direct and telling your readers that you want them to share your content. This stat is old, but back in 2013, Small Business Trends found that 70% of B2B sites failed to use Call To Actions in their posts. It’s a rookie error because the CTA is your best chance of telling people what you want them to do. Don’t want them to leave your page before sharing? Tell them. Interestingly, while only two out of ten people who read your headline will read the whole article, 90% of site visitors who read your headline will also read your CTA. This suggests that people have a tendency to jump from the headline to the end of your article. And this is why it’s super important that your CTA that greets them is strong. Otherwise, all the effort you put in to get people onto your page in the first place will be for nothing. The key to a strong Call To Action? Give People Just One Thing To Do! Don’t invite them to share your article and download an eBook or check out another blog post or watch a funny cat video. If you want more shares, invite them to share your page. Keep it simple and don’t use too many words. Remember, you want people to take action. Your language must be action oriented and clear. Why on earth would anyone share an exhausting 20,000-word blog post that takes a month to read? Because it offers immense value. Take a look at the most shared content of 2016. Thirty articles and most of them were informative and offered lots of value to the reader, from a new Alzheimer’s treatment to the most healthy snacks we can eat. On the flipside, why would anyone share a vapid listicle about the world’s ugliest animals? Because it’s entertaining. The world’s most effective content marketers are pumping out fresh new content all the time – as much as a few times a week, in fact. Moreover, check where most of Kissmetric’s traffic is coming from: it’s coming from in-depth, long-form, unique content. What does this tell us? It tells us that people want content that offers them value. People don’t want to see the same content recycled over and over again. Why would someone share a 500-word post that’s clearly a rehash of something they read two years ago? If you’re in the business of producing informative content, it’s essential that your content is original and tells the reader something they haven’t heard before. This will help to position you as an authority on a particular subject, which can encourage more shares. Naturally, the biggest challenge you face when putting together valuable, shareable content is coming up with ideas for the content in the first place. What are you going to discuss? What problem are you going to solve this time? If you want to know the questions your readers want answering, you can pop over to sites like Quora and Reddit where discussions are going on all the time. This is a hack a lot of content creators don’t always think about. But if people are asking questions on these platforms and you’ve got the answer, it means there is every chance your content will get shared. After all, it’s clearly in demand. Twitter is a wonderful hive of activity. Your audience? They’re on there – and they’re asking questions. See what questions come up, answer them in your content – and post to Twitter. There seems to be a Facebook group for everything at the moment. Unless you’re in one for your niche, you’re missing out on what you’re audience is talking about. Find a Facebook group related to your niche, find out the problems folk have – and set about solving them. Always remember that content of value generally solves someone’s problem. Define a problem that a good amount of people are struggling with and set about solving it. So far I’ve talked about valuable content that solves someone’s problem. However, your content can be both valuable and entertaining. The entertainment factor is crucial: if we go back to that list above of the most shared content of 2016, what it demonstrates is that no matter how educational or informative a piece of content is, if it’s as dull as ditch water, it’s just not going to engage with the reader. Even if your content is going to offer lots of value, you can draw them in with an entertaining headline. What’s got a better chance of getting shared the most out of these two headlines? It’s the latter because its terminology and use of numbers automatically suggest it will be more entertaining to read than the other. We all want to learn something, get smarter, and solve problems. But we prefer to be entertained along the way. What perhaps puts a site visitor off more than anything when they arrive on your page is a huge article that contains no images, no subheadings, and doesn’t even address them. It’s just you ranting. It makes you and your page look unwelcoming and a tad frosty. The best content is easy on the eye, easy to read – and easy to share. It uses direct language that we can all understand, addresses the reader – and contains all the right elements! It looks inviting and friendly. Adding these elements will make your content look more presentable and readable, which primes it for some serious sharing. Remember: dry, academic articles don’t go really viral. Informative, educational articles DO go viral – but they use the above elements to make them easier to digest. To sum up, I hope you can take a lot of heart from this post. The reason your content isn’t getting shared is nothing personal – you just need to work a bit harder on making it more palatable, more presentable – and more shareable. And, hey, sharing is caring, right? As I believe, Your first your headline is awesome then your half of work is done.